00:01 Hey guys. Chris here from Electric Enjin. 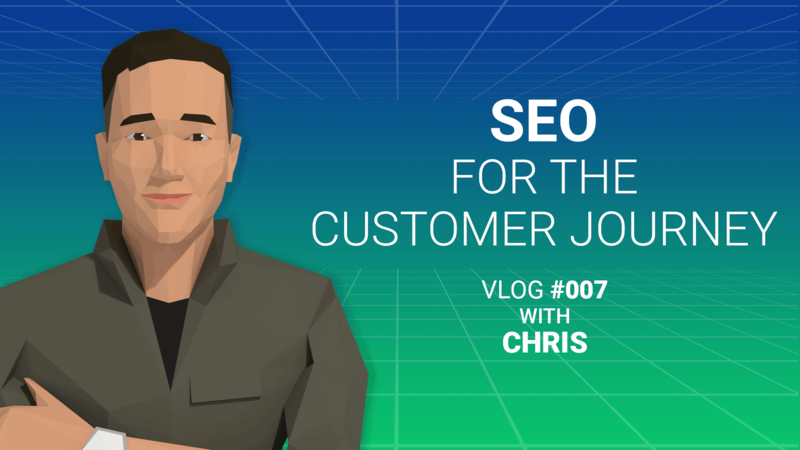 I'm going to give you some tips on how to improve your SEO throughout the customer journey. We're focusing on three stages. Awareness, consideration, and purchase. 00:11 In the awareness phase, our customers are actively researching for a product or service, so they become aware of the options available to them. This is likely around their pain points. So let's say I need a powerful laptop. I might be searching for best laptop for gaming or best laptop for video editing. These are all long tail keywords, which is three to four words or more. Google says 60% of all searches constitute long tail keywords, so it's important to utilize that. 00:40 The second stage is consideration. In the consideration phase, we are aware of our options but now we want to start to compare and contrast competitors, right? We want to include special features in our keywords. For example, I might be searching for a long lasting battery life laptop or Mac versus Dell laptop, Mac Pro versus Mac. You get the idea. 01:02 The third stage is purchase. We finally moved our consumer down the funnel and they're ready to purchase and spend their money on something. This is where we want to really include variations like style or color. For example, I might say 15 inch MacBook Pro, silver or 17 inch laptop touch screen. We're starting to include some of those special features that will really stand out and this is likely going to be found on your product detail page, which is at the end of the funnel, which will hopefully give us a conversion. 01:36 I hope you enjoyed those tips. If you did, comment, like, share. If you didn't, either way, just comment if you have any other ideas or something else you want to hear. Thank you guys.